What are your plans for today? I’m SO exhausted from moving and unpacking all week that I just need a day to unwind and relax! Vic and I will be building more IKEA furniture today and I’m super excited that my room is almost complete! 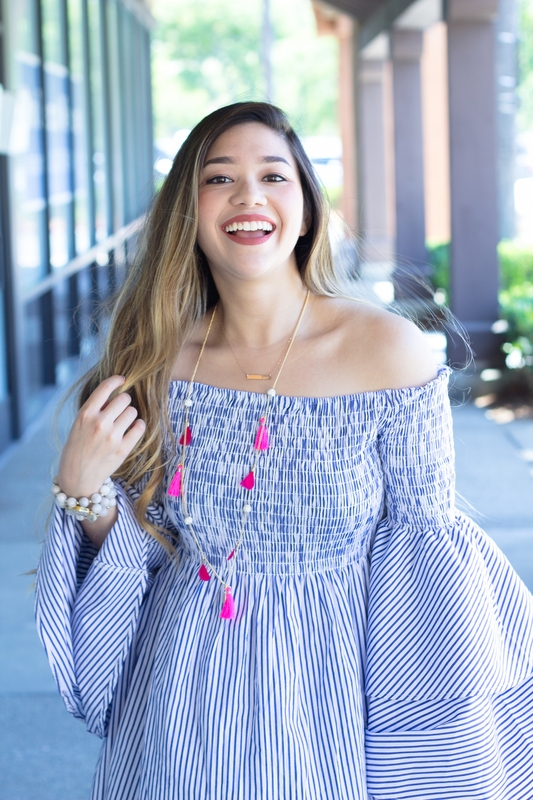 But I knew I had to share this Caroline Constas Appolonia Dupe Dress with my marblelous babes because it seriously is the perfect Fourth of July dress!!! The best part about this Caroline Constas Appolonia Dupe Dress? 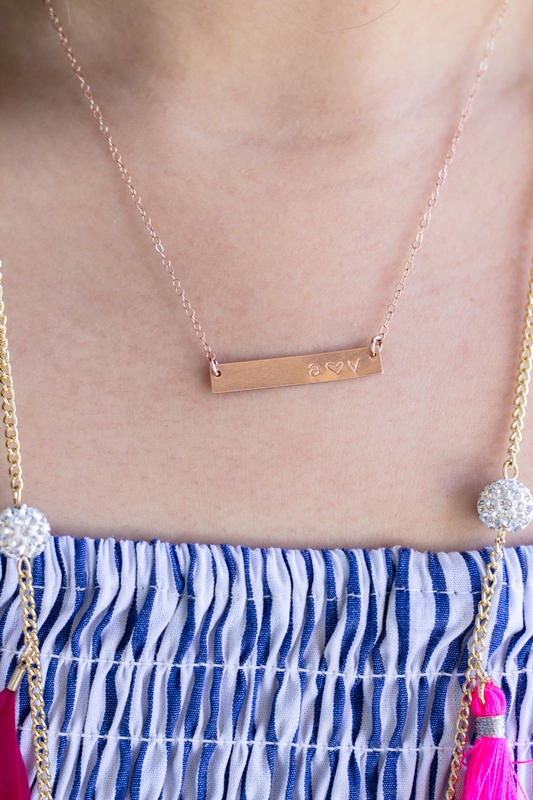 It’s only $26!!! That’s like less than a fraction of the price of the real deal. You’re welcome!! 😉 You can get it here! This Caroline Constas Appolonia Dupe Dress has blue and white stripes, so all I had to do was add a pop of red to make it the perfect red, white, and blue outfit! 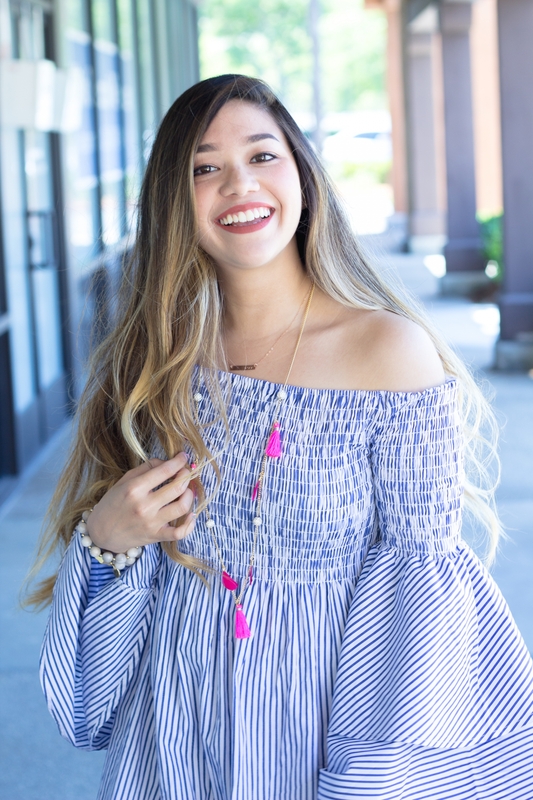 To complete my look, I added pops of pink with a super cute tassels necklace for $20 and a pink pom pom straw clutch that you seriously need for all your summer looks! This pink pom pom straw clutch is $38 and also comes in rainbow pom pom colors in both black and beige! That is the cutest dress! And your clutch is so fun! This dress is STUNNING and I can’t believe it is only $26. What a fantastic deal! Love love love this look girl! That clutch just pulls it all together too! This outfit is adorable! 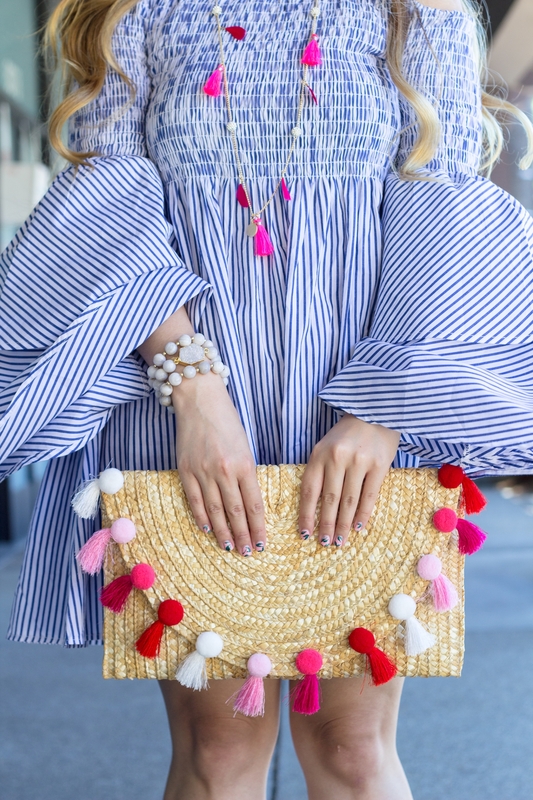 I love all the tassels! I love your dress and bag here! 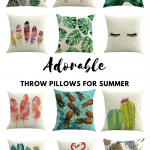 So cute and summery!